After recently announcing the details for his forthcoming LP Prom King, Skylar Spence is back to share the video for lead single “Can’t You See.” The Timothy Hendrix-directed video captures a young man’s pursuit of his crush that ultimately requires he find his own self confidence before he can nab the girl of his dreams — a story that addresses the millennial conundrum that is the thin line between self-acceptance and narcissism. Its release comes on the heels not only of Skylar Spence announcing Prom King, but also following his recently debuted live show at Hangout, Big Guava, Firefly and Electric Forest Festivals. Skylar Spence will be taking the new live setup across the northeastern United States and Canada this summer, capping that run off with performances at Lollapalooza, Treasure Island and Corona Capital Music Festivals this fall. Check out the video for “Can’t You See” along with all upcoming Skylar Spence tour dates below now. While DeRobertis’ previous long-players have been more amorphous collections in the style of beat tapes, Prom King is compact and cohesive, with the album’s varied stylistic references (new wave, UK garage, boogie) united through strong guitar melodies and Todd Edwards-ian cobblings-together of tiny vocal samples. “I slowed some music down and called myself an artist,” DeRobertis sings on lead single “Can’t You See,” acknowledging in his lyrics what is already apparent in the music’s tone-he can maintain fidelity to his vision while working in more uptempo, disco-based song structures. “Ridiculous!” and “Bounce Is Back” are big groovers that capitalize on jacking hi-hats and hand drumming, respectively, and both have an air of Balearic warmth and smoothness. On the title track, DeRobertis entwines a chorus of unintelligible but expressive samples with his own vocals-what feels like a synthesis of two approaches-and the result is an affecting pattern of build and release. More contemplative sophisti-pop numbers like “Fall Harder” and “Affairs” add a realist’s breadth of scope: thoughts of past foibles bleed into present-dwelling and dancing. Prom King is DeRobertis making sense of missed opportunities. His high school did not have a prom king; he has filled the position with an imaginative album of personal and musical revisionism. 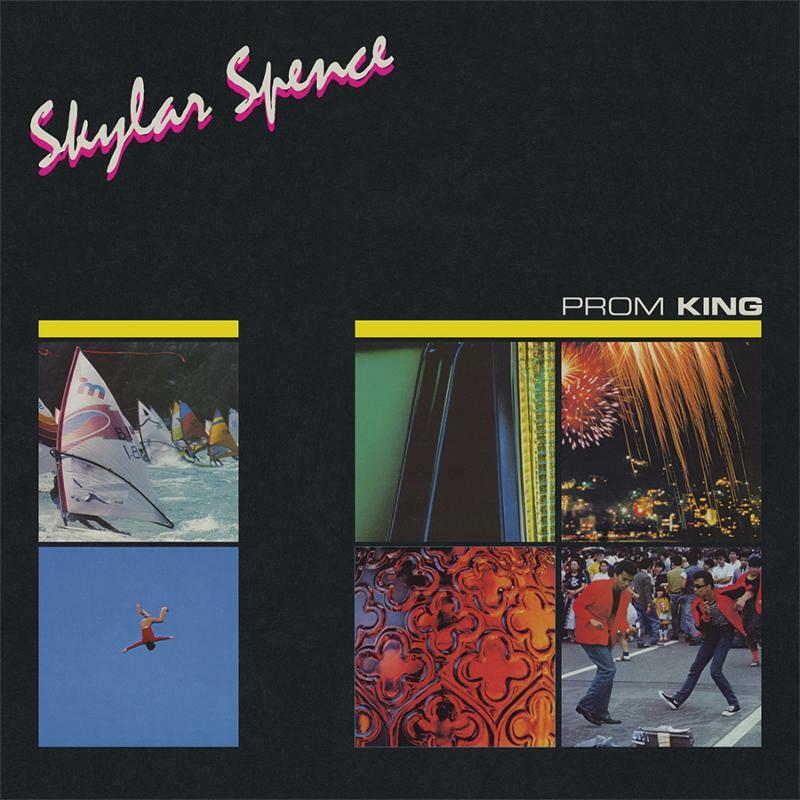 Today Skylar Spence is sharing the first taste of Prom King, the uptempo “Can’t You See,” alongside news of his upcoming Summer tour dates and a pre-order for Prom King that includes an instant grat for “Can’t You See” if you order now. Check out the new single along with all Prom King details and forthcoming tour dates below.